Marvel’s Netflix presence may be shrinking, but the upcoming Disney streaming service is bringing out the big guns. Earlier this year, word emerged that Loki and the Scarlet Witch may get their own shows on Disney’s new streaming platform. Now, Variety is reporting that Falcon and the Winter Soldier may have a show of their own, and a writer is already attached. According to Variety, Malcolm Spellman (Empire) is on board to write the series, which is currently in development. Currently, there is no official order or greenlight. However, this is the first of the new Marvel series to get a writer. That makes it the most likely choice to go forward. Anthony Mackie (Falcon) and Sebastian Stan (the Winter Soldier / Bucky Barnes).are expected to reprise their respective roles. Stan first appeared as Bucky in Captain America: The First Avenger, while Mackie’s Falcon joined the MCU in Captain America: The Winter Soldier. The proposed series would only run six to eight episodes, with a greatly expanded budget compared to Marvel’s previous shows. Kevin Feige is directly involved with the new Marvel Studios produced series. Netflix, Hulu, Freeform, and ABC’s Marvel TV shows lack that direct connection to the films. Marvel Television and Marvel Studios may share the MCU, but they’ve had very little interaction in the last few years. Marvel’s new shows may also introduce other new characters to the MCU. The upcoming Disney and Fox merger will greatly increase the available characters. That means there could potentially be shows for Fantastic Four and X-Men related characters as well. 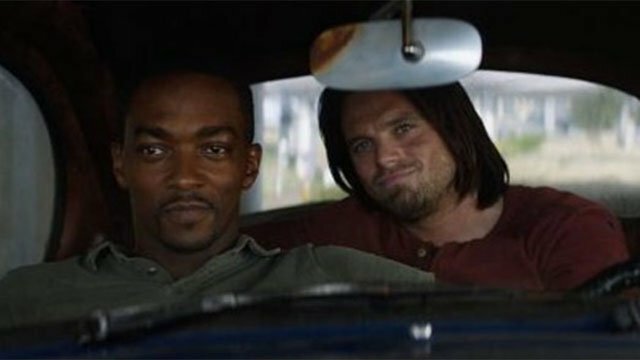 Are you excited about the potential Falcon and Winter Soldier miniseries? Let us know in the comment section below!